Etisalat Digital announced the shortlisted scale-ups to foster digital innovation and entrepreneurship and to bring new solutions to the market as part of ‘Dubai Future Accelerators Program,’ the world’s largest government-supported accelerator. The program pairs top scale-ups from across global markets with the Dubai government entities allowing them to build, test and deploy solutions for 21st-century challenges. The shortlisted startups were announced during the opening ceremony of the 4thcohort of ‘Dubai Future Accelerators’ held in Dubai. Etisalat Digital launched two challenges as part of the program to companies across the world in January this year, and out of all the applications received, six companies were chosen to work with Etisalat Digital in addressing these challenges. The companies will have the opportunity to network with a number of key stakeholders and have access to resources and expertise from Etisalat Digital. “The success of Dubai Future Accelerators program is a testimony to the efforts of the government in nurturing entrepreneurship and providing the right platform to accelerate and innovate. As a partner of the fourth cohort, Etisalat is looking forward to working closely with these startups to bring these futuristic solutions to reality to help transform our visitor and customer experience. The first challenge aims to transform the experience of visitors, like students, residents, leisure and business tourists, of city attractions, such as Expo2020, museums, libraries, and landmarks by leveraging extended reality, augmented/virtual reality, and artificial intelligence at every stage of the visitor journey by 2021. The selected companies that will address this challenge with Etisalat Digital for the next two months are Mobiliya, Digicomm, and Sturfee. 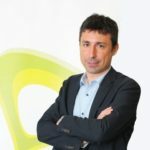 The second challenge seeks to accelerate Etisalat’s transformation to a digital telco by increasing customer adoption of digital self-care channels thereby enhancing customer experience and reducing 50% calls to Etisalat customer care over the next one year using artificial intelligence, analytics and insights, and machine learning. CogTalk, KocharTech, and Votek were chosen for this challenge. The companies were shortlisted based on their capability to build and launch their core technology, and be able to demonstrate traction and/or substantial use cases. 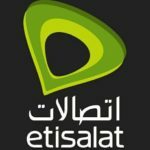 Towards the end of the program, Etisalat Digital will sign a commercial agreement with selected startups who will then be on boarded in the Etisalat Scale-Ups Program where they will receive access to Etisalat Digital resources and experts, office space, and support needed to deliver joint projects.